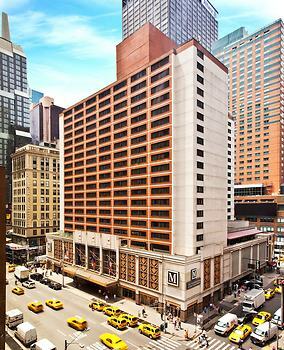 Perfectly positioned in the famous Times Square, this glamorous New York hotel holds rooms that feature sumptuous bedding, modern lighting, spacious bathrooms and elegant décor. Leisure and business guests can enjoy spectacular city views while working out at the 5th floor fitness suite. The location was excellent. The room was very comfortable and the staff were very helpful.